Christina Keller accepts the “Best of the Best” Large Companies to Work for in West Michigan Award. 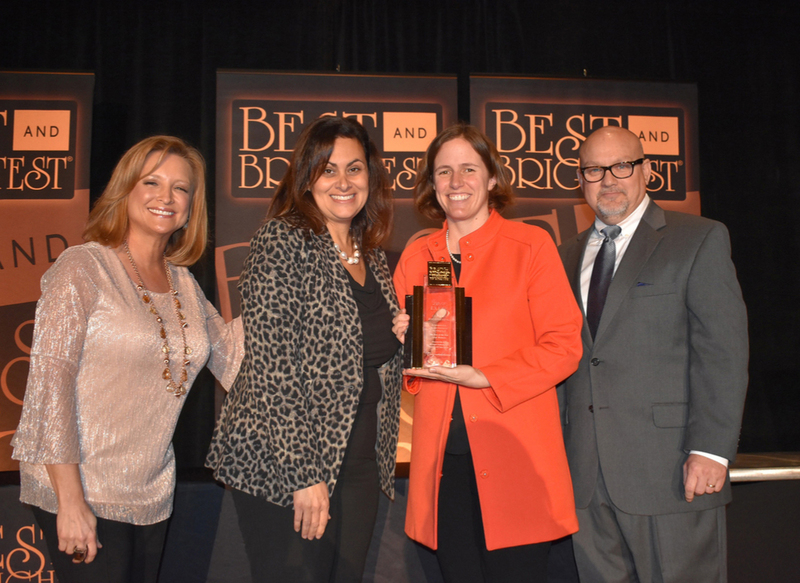 With Christina is (L to R) Juliet Dragos, WZZM 13 News, Jennifer Kluge – President and CEO of Best and Brightest, Christina Keller and Steve Kelly, WOOD1300 & 106.9 FM. Cascade Engineering was recognized amongst 148 West Michigan companies as a great place to work. In addition, we also received an Elite award as the large business “Best of the Best” companies to work for in the West Michigan region.